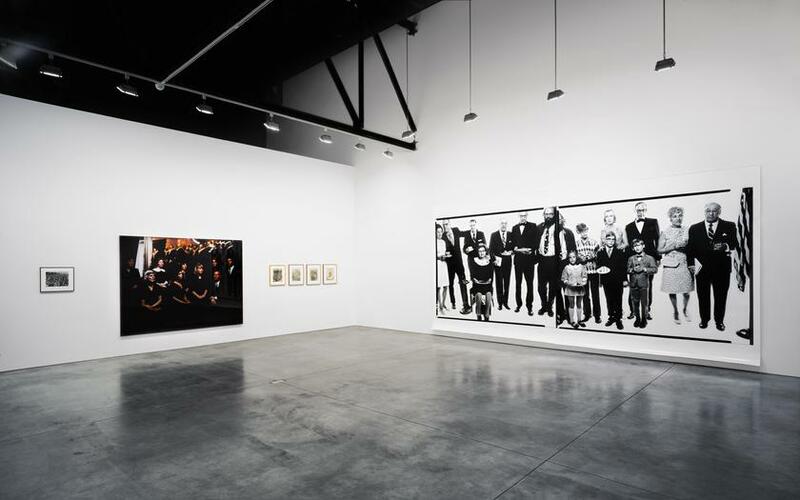 Each photograph in this exhibition offers a picture of a group rather than a single individual. Some of the groups are quite large and elaborate extravaganzas, while others are a simple gathering of more than one. In each image, there is a special awareness of the camera or the photographer on behalf of the subjects, which distinguishes these images from other genres of more candid photography. This awareness causes all sorts of fascinating orchestrations and relationships as the subjects jockey themselves and their peers to present both simultaneous senses of belonging and individuality. The exhibition will offer a historical selection of 20th century imagery, from period photographs of World War I soldiers in pictographic formation to contemporary color studio photography, that demonstrates in many ways how the projection of identity within a collective has evolved over the last century.